Kamran Akmal: Is he really worth it? Kamran Akmal, who has been out of favour since 2011, is all set to make a comeback to the Pakistani team after having being named in the 30 man squad for the September’s World Twenty20. We have often heard people state many reasons for why he should be back which is mainly due to his batting abilities. People in favour of selecting him state that he can provide the required oomph to our batting in shorter formats; that Kamran, on numerous occasions, has saved Pakistan with his batting heroics and that he has been scoring consistently in the domestic circuit since his drop in 2011. Some cricket fans are also of the view that he can make the side purely as a batsman specially in the T20s, without taking into consideration how good or bad he will be without the gloves of a wicket-keeper. Kamran’s batting is not as questionable as his shoddy wicket-keeping skills. The question is, has he tried improving his skills after being previously dropped for the very reason of his poor wicket-keeping? Many of his fans like to bring up the point that he has taken many successful catches and is right up there with the very best when it comes to the number of dismissals, but that does not make up for the number of catches he has dropped and the number of run outs he has missed. After all, there is a reason behind the nickname of ‘Butter Fingers” being attached to his name. It all started in England in 2006 and the line up of appalling performances has continued ever since. Throughout his career, Kamran has struggled with the gloves, apart from the early years of his cricket career when he was considered by many as a really good player, and rightly so. Kamran has not faced difficulty in a particular condition or to any particular type of bowling; he has struggled in all conditions and against all types of bowlers. With him it’s not just about the technicalities; had it been a technical problem, he would have surely overcome it by now, but it has been almost five years and no improvements have been seen so far. When a keeper doesn’t do well, unlike batsmen or bowlers, it doesn’t only reflect badly on himself but it also has a damning effect on the bowler for whom he drops a catch for and it implicates the whole team; The 2010 World Cup match against New Zealand is one of many instances where such dismal performance by Kamran Akmal was at display. Kamran’s wicket-keeping has been dismal even against spin bowlers. This is ironic as this style is our strength these days with bowlers like Afridi, Ajmal and Hafeez. With the World T20 being held in Sri Lanka, spin will play a very important role. It is anticipated that spin bowlers will be used as a strong force against opposing teams. Pakistan cannot afford to have a keeper who has a history of missing chances, that too the very easy ones against spinners. So here is the big question, can we afford to neutralise our strength (spin bowling) just for the sake of few quick runs at the top of the order? Will this be a wise move for the team? 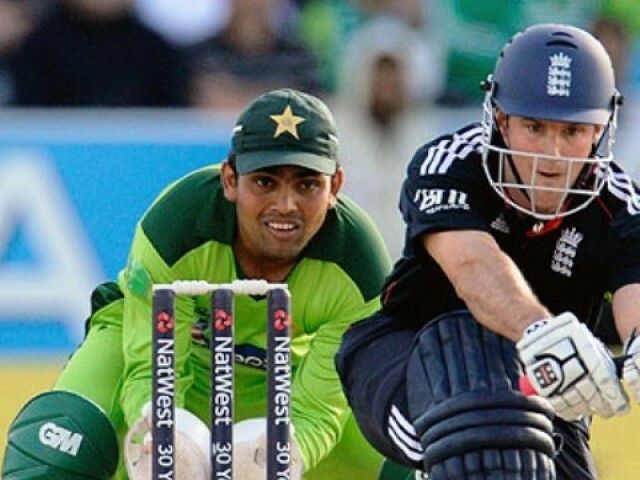 Is Kamran Akmal worth all the risk? Is a team lead in the Technical Support Department of Mycroburst.com/LogoDesignGuru.com, a crowd sourcing site/business related to graphic designing. 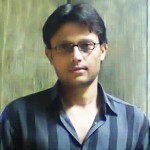 Based in Karachi, he is an avid cricket fan and has been following the sport for almost 18 years. Beat it critics, Misbah should stay! T20 World Cup: Can we make it to the semi-finals again? I’m sure that Umar Akmal will keep the wickets if Kamran Akmal doesn’t feature in the squad. I believe that the shorter version of the game can help Kamran in the sense that there are less overs to get exposed! Look, one thing is clear. If Kamran Akmal is picked, he’ll keep too. If that doesn’t happen then Umar Akmal will do the job. Its very doubtful that Sarfaraz or any other keeper is selected. I agree that Kamran carries a baggage of suspicion, but I’ll still pick him up to strengthen the late order (Pakistan has a very unskillful tail). I am still not sure about the explosive nature of Sarfaraz or Shakeel. I don’t remember Shakeel doing anything noticeable. Sarfaraz picked up a MOM but he doesn’t possess the talent of six hitting at will (something like Moin, Kamran or Razzaq). as a sportsmen, NO, due to his name appearing in fixing allegations. A. Razzak – 32 years – what is he doing in a T-20 team. K. Akmal – where is PCB’s stated policy for zero tolerance towards any suspicious activities – ICC clearance notwithstanding. I. Nazir – almost 31 – his days are over, and his selection is keeping out other talented openers such as A. Shahzad. Y. Arafat – 30 years old – medium pacer – What about Jamshed Khan – 23 years; most promising bowler in years – can’t say we need experience in T-20 cricket, we need youth, exuberance, talent.